Re-piping is the replacement of old pipes with new pipes in your home or commercial building. Re-piping occurs when a building’s existing pipes are leaking and beginning to fail. Many old homes and businesses have pipes that are rusted and leaky. For example, many older homes were built with galvanized pipes. Over the years, these types of pipes begin to rust. This causes your water to turn rust-colored and compromises the integrity of your pipes. Rust can also accumulate and begin to clog pipes, making water flow slowly and inefficiently. While leaking pipes are a sign that pipes are failing, you may notice earlier signs. The presence of dark flakes in your water may indicate rusting pipes that will eventually begin leaking. Even homes that are not considered historic could need re-piping. Some homes were built with a type of plastic pipe that has since shown to break down and leak after years of use. This polybutylene piping was frequently used in homes built in the seventies, eighties, and nineties. It was frequently referred to as the “pipe of the future”, but unfortunately this has not been the case. Leaking pipes can start out as a small program but eventually grow to be a large problem with the potential to cause serious damage to your home or building. 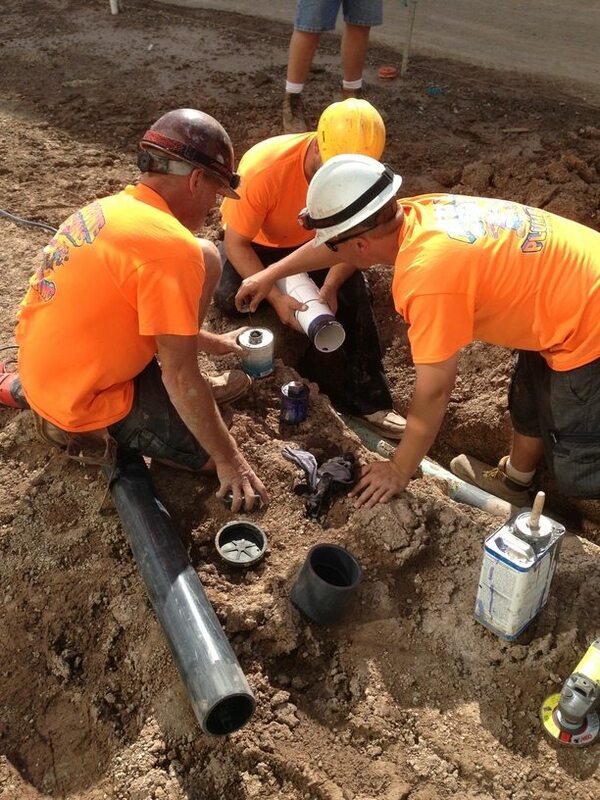 We have experience with re-piping jobs of all sizes. We provide quality re-piping installations and ensure the re-piping is complete in accordance with regulations and codes. We are available to discuss your concerns and inspect your pipes to determine if a re-piping is necessary. We will then discuss available options to ensure your plumbing system is functioning as intended.